YouTubers didn’t know what quite to expect at last month’s first local TGIF (the end of week all-hands meetings that Google runs). Turns out it followed the standard Google style – founders give update, note accomplishments of week, open the floor for Q&A – just sub in Chad and Steve for Larry and Sergey. Everyone then learned of another periodic TGIF tradition – the mad rush to get some new t-shirt or other garment being distributed. 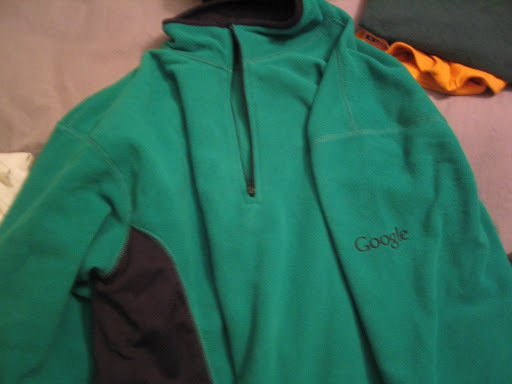 This time it was a lightweight fleece pullover in red, green or blue.